Originally from California, Lara Duncan is one of PMT's brightest dancers. She brings extensive experience in various genres and has taught Jazz and Hip Hop classes at PMT, Long Island University, and Alvin Ailey. She holds a Masters of Teaching in Early Childhood Education, and has taught dance to hundreds of children in a NYC public school. Lara has been dancing since the age of four when she joined the California Academy of Performing Arts. She trained in the San Francisco Bay Area for 17 years in jazz, tap, and ballet. While earning her bachelor’s degree at the University of California Berkeley, she performed on the Cal Dance Team at stadiums and arenas across the country for audiences of up to 100,000 people. 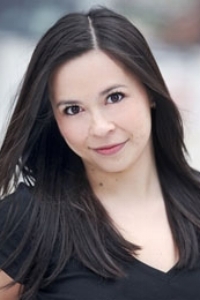 She has performed lead and ensemble roles in musicals such as West Side Story, Guys and Dolls, and Bye Bye Birdie. In 2007 Lara moved to New York to pursue a career in education. In addition to teaching full time, her passion for dance brought her to PMT. Lara is a principal dancer for PMT Dance Company and has been featured in music videos and commercial marketing campaigns for companies such as Kleenex & Transfast. She has performed in venues throughout New York City including the Javits Center, Alvin Ailey, and Broadway Dance Center. In the summer of 2014 and 2015, she performed with PMT Dance Company at Madison Square Garden as part of the half-time show for the NY Liberty. She also choreographed the jazz segment of this performance. Lara was also the feature of a surprise performance on the Today Show on February of 2015, which not only did she dance and choreograph a segment of, but also was engaged on live TV (it was a surprise). Lara Duncan is a choreographer and principal dancer in PMT Dance Company.